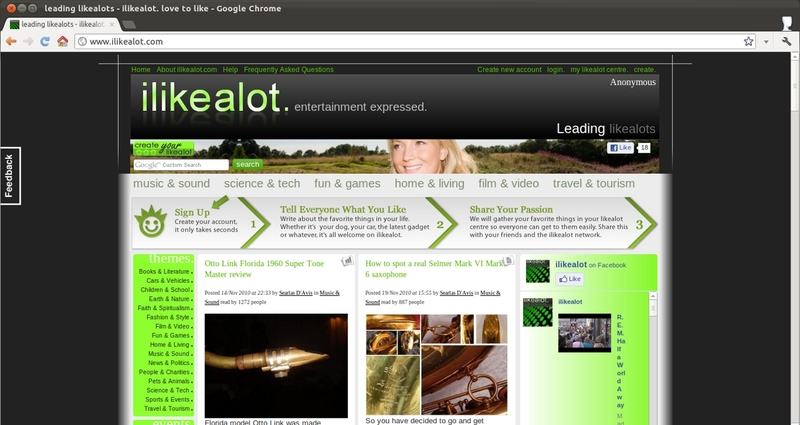 A social tool inviting people to post blogs, articles, videos etc.. about the things they like. APIs: Facebook, Google, Yahoo & Twitter - mainly for login and signup. The journey towards ilikealot started a long time ago. Erik van Geest had somehow found me, and wanted to work together with me on a project he had in mind. Due to various reasons, that project never took off but we decided to stay in touch. We experimented a bit with working together in various formations, until we formed a team together with Frank van der Niet and founded Ilikealot. The concept was simple: A publishing platform for the positive minded. Particularly interesting about the backend is the algorithm that defines what content shows up on the frontpage. With a calculation based on the overall number of views, the recent number of views the recency of publication and some magick the displayed content changes from time to time in line with current events. Content about Sinterklaas in Sweden floats up in the beginning of december, some articles about The Big Bang Theory come up every week and in particlar when a very good episode was just aired in the USA.